Today I'm posting a total of 8 pictures taken at various intervals along my journey. Scroll down to see each of them. My hair really started growing five months after the surgery, around mid-February. Many people tell me I look about 10 years younger! Congratulations on your excellent hair transplant! Your hair looks fantastic and you will certainly see more growth and maturation in the coming months. and i am so glad that i am on the right track with my research. Hello Dr. Tan! Thank you so much for your comment....and for viewing my blog! I really hope to see more growth over the next couple of months! I read the "link" you sent and really liked the chart showing growth through the one year mark! I'm hoping your correct....in my case! Thanks again for looking at my blog. 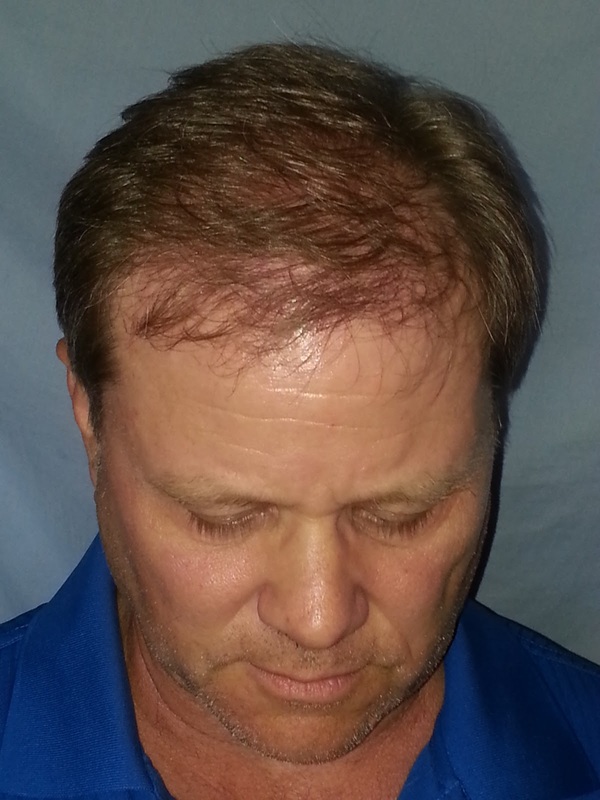 Glad to see the pictures of hair growth after Hair transplantation surgery. Also you look totally different in the last pics. This is an effective treatment and most men are seeking it. No side effects! Congrats for your successful hair Transplant surgery. I have also done the hair transplant treatment from the Dr. K.K Arora. He is one of the best hair surgeon in the India with latest FUE Hair Transplant. Find the Cost of hair transplant depends on the types of Hair transplant, hair Restoration surgery in India. Clinicbychoice provides the list of Hair Transplant Center provide you the best result for hair loss problem with latest Hair Transplant Techniques in Punjab, India.